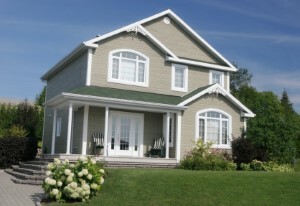 The windows, siding, and roofing of your home are some of its most important elements. They provide critical protection from weather and the elements, play a huge role in energy efficiency, and enhance its curb appeal. At Nassau Suffolk Exteriors, we understand how important it is to keep your home as healthy, comfortable, and attractive as possible at all times, so we provide high quality services to help our clients do just that. We're dedicated to offering the best products, materials, and workmanship at every job that we perform so that our clients' homes are always kept in great shape. Our Floral Park Exterior Services experts are all extensively trained and experienced professionals who will be able to provide the highest quality service possible for your home's exterior. Each of our experts has a great deal of experience in their field, so you'll always be able to get expert service no matter what kind of work you need from us. We can handle any kind of job, from regular maintenance to full installations, and we'll make sure that you're totally satisfied with all of our work. Give us a call today to schedule your appointment for Exterior Services, or to ask any questions you have about the services we provide, and we'll be looking forward to working with you. One of the most important aspects of keeping your home in great shape is maintaining the condition of its roofing. Your roofing is the first and most important line of defense that your home has against weather and the elements, so any problems with your roofing leave several parts of your home vulnerable to more damage. Our Floral Park exterior remodeling experts can provide high quality roofing services to help you ensure that your home always has the protection that it needs. We can perform installations for any kind of roofing, including asphalt, slate, or flat roofs, and we also offer repairs and maintenance services. Your siding does a lot to enhance the appearance of your home, and it also protects your home against weather and the elements,. If you're having new siding installed, our Floral Park siding experts can work with you to find the best siding materials for your home, and we can provide you with a high quality installation. If you're looking for replacement windows, siding, or roofing services in Floral Park, call Nassau Suffolk Exteriors at 631-462-1383, or fill out our online request form.